Malvan being a coastal area, coconut is used mostly in everything,our curries are made mostly in coconut milk, and any of this curry when combined with rice is a combination to die for. 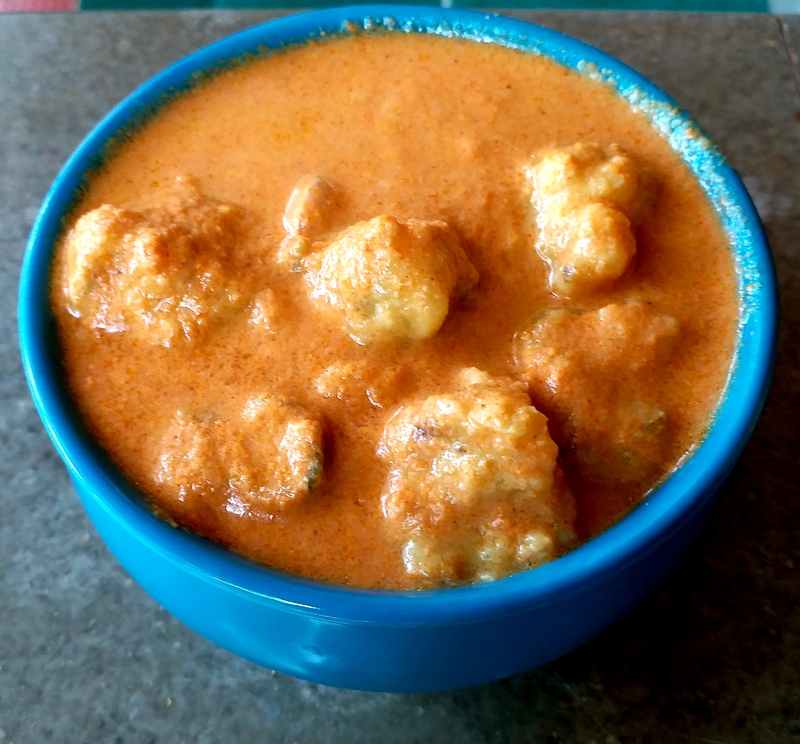 This dish is also a coconut based gravy which has koftas known as Gole in Marathi made up of Besan and has a distinct flavour of ginger. Goes well with everything but best with rice. 2 tbsp Coriander leaves finely chopped. 1 tsp Coriander seeds crushed. 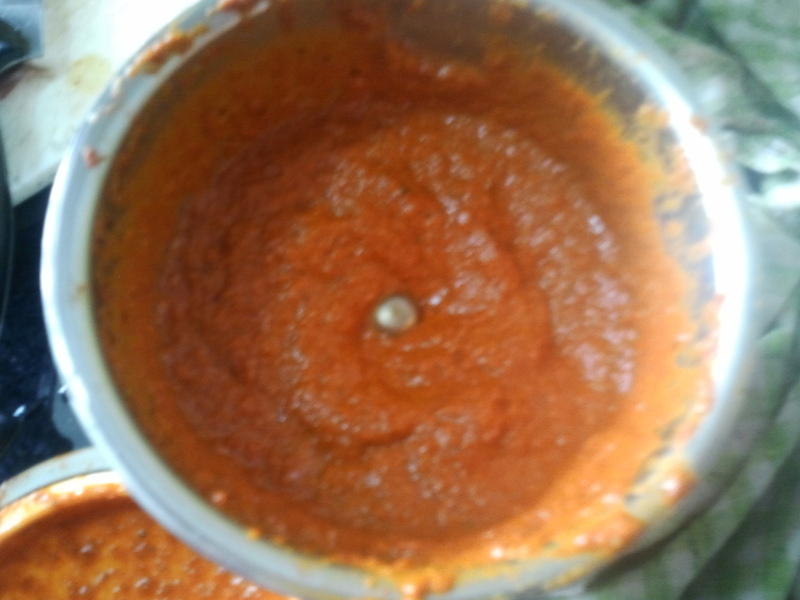 5 tbsp Red chilli powder. Mix all the ingredingre for Golas by sprinkling some water,forming a consistency of dough.keep aside. Grind all the masala ingredients to a fine paste.keep aside. Grind together grated coconut,peppercorns and half chopped onion to a fine paste.keep aside. 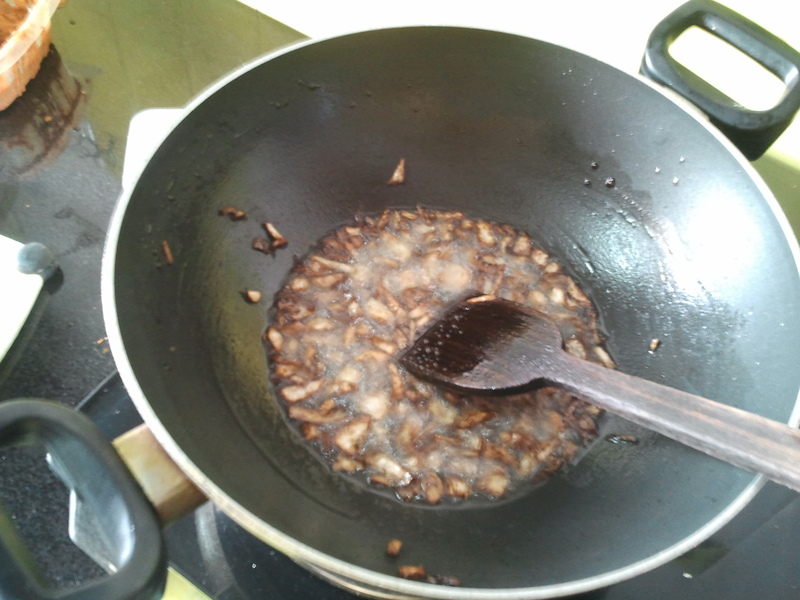 Heat oil in a kadhai.Add remaining half chopped onion,let it turn brown. Add masala paste,fry well,add ground coconut and onion paste,add salt.Mix well,add 1 cup water and let it come to boil. Now lower the flame and drop small marbke size golas (koftas) of prepared Besan dough in the gravy. Let them cook for 5 minutes,once cooked the goles(koftas)will start floating on top of the gravy. Serve hot with steam rice or bhakri of your choice. Tip-Dont boil the gravy after adding coconut milk.You can use fresh coconut milk or maggi coconut milk powder. In continuation to my posts from my mom’s house in Goa,today’s specialty was Neer Phanas Kachrya. 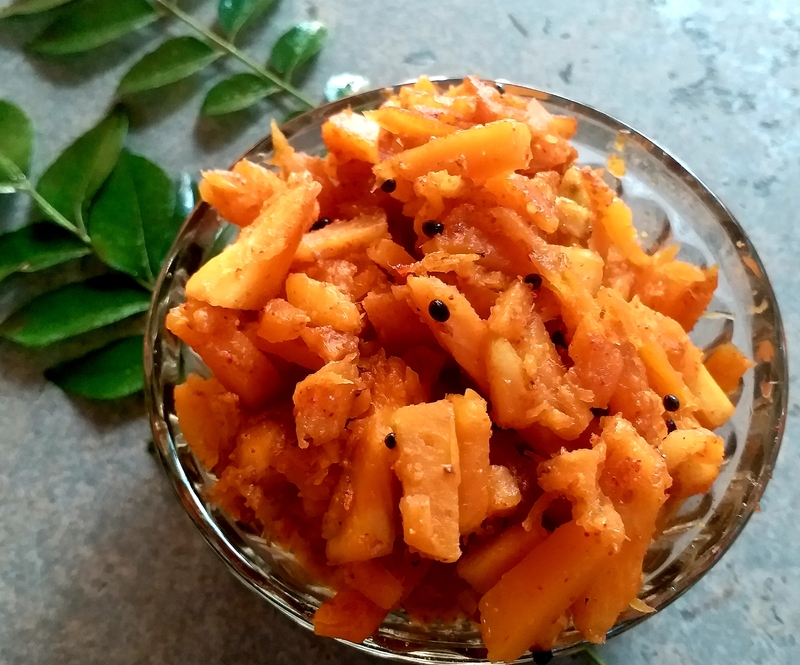 Neer Phanas is also known as bread fruit.Usually we make kaaps as side dish from it. My mom has a huge tree of Neer Phanas in her back yard and we get a good yeild of Neer Phanas every year. 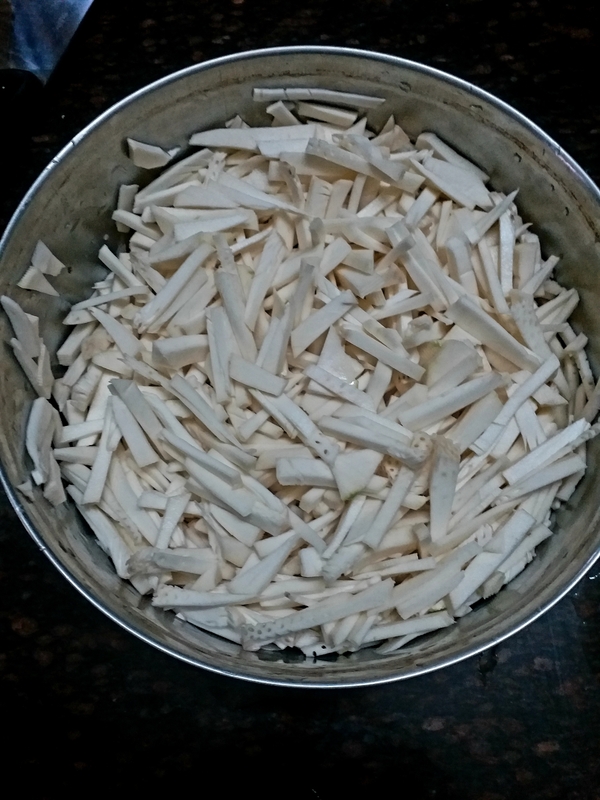 I am very fond of this vegetable,at times my mom courriers them to me to Mumbai. Today for the first time I tried this dish, usually kachrya are made from potatoes,which are die for tasty,but this dish was also equally yummy.Neer Phanas has mild sweetness,which gives this dish a distinct flavour. This dish goes very well with meetha dal and rice,though I can have it on its own also.This dish requires little extra oil. 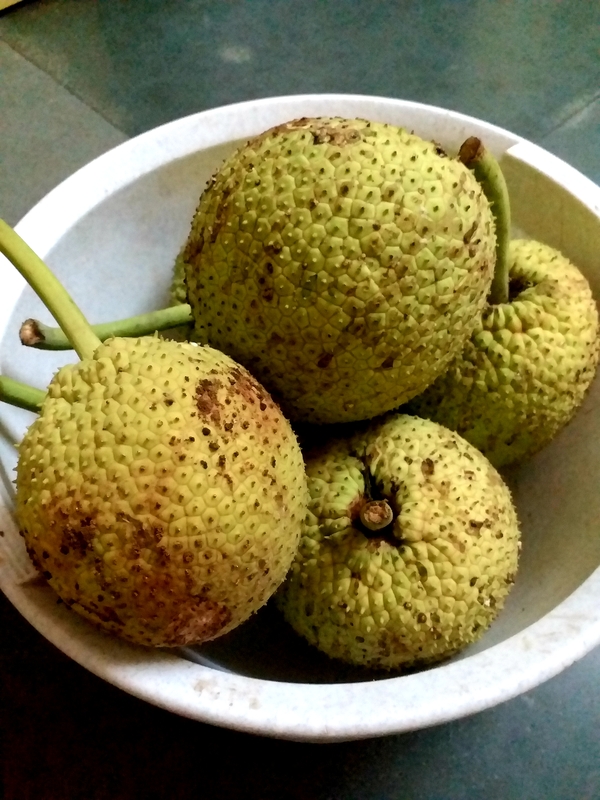 1Neer Phanas (Bread fruit)washed,peeled and diced thinly. In a thick bottom pan heat oil. Add mustard seeds,let it splatter add jeera and asafoetida. Add diced neer phanas ,red chilli powder,dhana jeera powder,sakt and haldi powder,mix well. Dont add water,mix well ,cover the pan and cook on medim heat let the neer phanas cook,stir once or twice in between.it takes not more than 5 minutes to cook. Add chat masala and mix well. Remove in a serving bowl and serve with dal rice or roti.